For more than four decades, Lytal, 72, has been a leader in Palm Beach County’s legal circles, representing a wide range of clients. He a founding partner of Lytal, Reiter, Smith, Ivey & Fronrath, a 19-attorney plaintiff’s firm in West Palm Beach, and an opponent of tort reform. Lytal was one of the first attorneys in the country to be certified as a civil trial advocate by the National Board of Trial Advocacy. 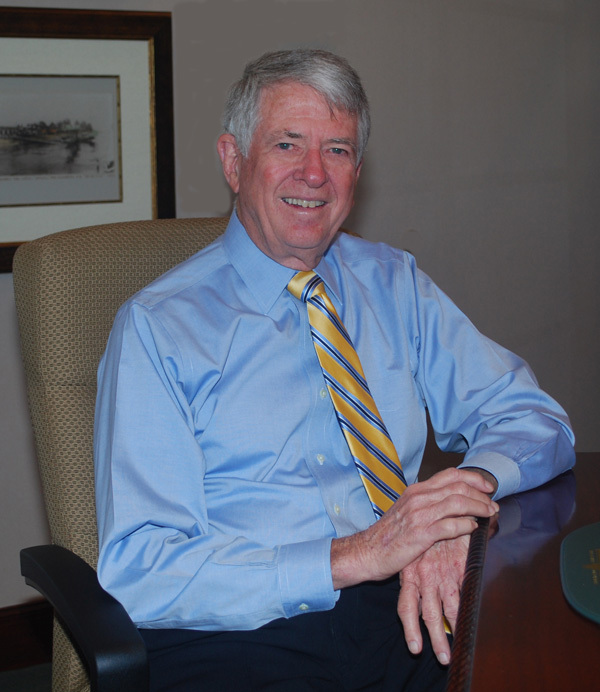 He is also a past president of the Florida Justice Association and has received that organization’s highest honors, including the Perry Nichols Award in 2000 and the Lifetime Achievement Award in 2003. A native of Palm Beach County, Lytal has deep roots in the region. His grandfather came to West Palm Beach from Louisiana in 1918 at the age of 12 and later owned and managed a furniture store. His father Lake Lytal, Sr. was a lifelong civic leader who was elected to the Palm Beach County Commission in 1941 and served for 32 years. His mother, Ruth, was a longtime area school teacher. “As I was growing up, my parents emphasized the importance of helping others,” says Lytal, who graduated from Palm Beach High School in 1958. At that time, Lytal was planning a career in engineering, and took classes in math and science at Palm Beach Junior College, while doing drafting at a local engineering firm. “I had a wonderful professor at the junior college named Joe Payne, who got into all kinds of arguments with me about politics and government,” Lytal recalls. “Eventually, Joe told me that I should go to law school.” Lytal heeded that advice, and transferred to Florida State University, where he earned his bachelor’s degree, followed by a law degree from the University of Florida in 1965. After becoming a lawyer, Lytal went to work for a small general practice firm for the spartan salary of $100 a week. “My wife Susan was teaching and making more money than me, and it became apparent that we needed more income for a young family,” he says. Reflecting on his long career in South Florida, Lytal says one of the biggest differences is the acceptance of women and minorities into the legal profession — an attitude that didn’t exist back in the 1960s. “Today, we just take those things for granted, but it’s taken a lot of effort to get to that point,” says Lytal, who has endowed a scholarship for African-American students to attend the University of Florida College of Law. When he’s not going to bat for his clients, Lytal plays softball regularly on a senior league in Jupiter. He also enjoys hunting and fishing, and spending time with his wife Susan, their sons Chris and Lake Lytal, III [“Trey”], as well as their spouses and five grandchildren.